Burberry’s Spring 2016 line has been released to the masses – but only if they’re on Snapchat. The British-born fashion house is giving users exclusive access to behind the scenes photos and videos shot by Mario Testino for just 24 hours. But does Snapchat really say 'luxury'? While fashion houses like Saint Laurent typically opt for techno DJs at shows, Burberry has traditionally taken a more reticent approach, promoting and playing acoustic music from young Brits. 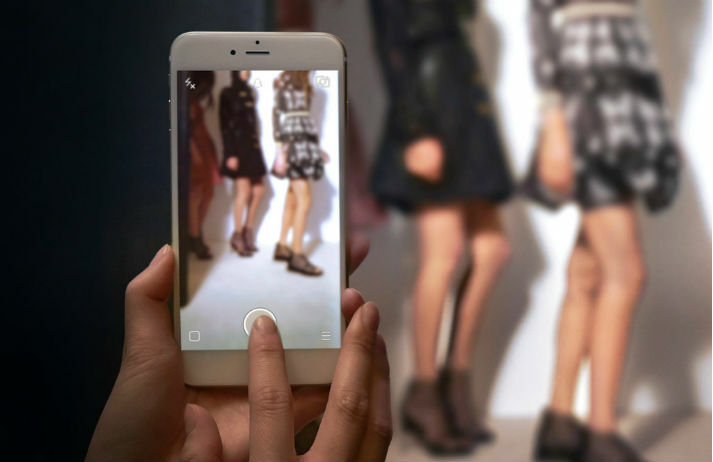 Now, the UK fashion house is partnering with Apple to curate a branded channel on Apple Music. A new wave of Gen Y models are proving that there's a lot more to success in the fashion world than good looks. From Kendall Jenner to Cara Delevingne, today's models aren't just using social media to connect with fans and build their personal brands, but to win bigger modelling contracts, too. In the US, there are 11.8 million Gen Yers living in households with six-figure incomes, and many want to treat themselves to luxury items. For a market filled with these tech-savvy and social media-driven shoppers, instant gratification is crucial. But how are brands getting this group to splurge?